Author(s): Ina Israel, Felix Fluri, Fabian Schadt, Andreas K. Buck, Samuel Samnick*. Background: P-selectin is activated early after stroke, followed by a rapid decline. This time course can be used to generate important information on stroke onset. The latter is crucial for therapeutic decision-making of wake-up strokes (i.e. thrombolysis or not). Here, we evaluated the specific p-selectin inhibitor fucoidan labeled with gallium-68 (68Ga-Fucoidan) as an imaging biomarker for assessing p-selectin activation in acute ischemic stroke using Positron Emission Tomography (PET). Methods: 68Ga-Fucoidan was investigated in rats brain at 2-5 h (n=16), and additionally at 24-26 h (n=9) and 48 h (n=3) after induction of photothrombic stroke or in sham-operated animals (n=6). Correlation of cerebral 68Ga-Fucoidan uptake with p-selectin expression was determined by exposing freshly cut brain cryosections to autoradiography and immunostaining using specific antibodies against p-selectin. Results: PET scans showed an increased accumulation of 68Ga-Fucoidan in the histologically proven ischemic stroke, as compared to the corresponding contralateral hemisphere in all except one animal. The median ratio between the uptake in the ischemic lesion and the contralateral region was 1.95 (1.45-2.41) at 2-5 h, 1.38 (1.05-1.89) at 24-26 h, and 1.09 (0.81-1.38) at 48 h after stroke, compared to 1.22 (0.99-1.49) for sham-operated animals. In the ex vivo autoradiography, 68Ga-Fucoidan accumulation co-localized with p-selectin as assessed by immunostaining. Control animals and those scanned at 24-26 h and 48 h after stroke exhibited no elevated 68Ga-Fucoidan uptake in either hemisphere. Conclusion: PET imaging using 68Ga-Fucoidan represents a valuable tool for assessing p-selectin activation in vivo discriminating ischemic stroke early after stroke onset. Author(s): Yen-Chu Huang*, Yuan-Hsiung Tsai, Jiann-Der Lee, Jen-Tsung Yang, Yi-Ting Pan. Objective: In acute ischemic stroke, early neurological deterioration (END) may occur in up to one-third of patients. However, there is still no satisfying or comprehensive predictive model for all the stroke subtypes. We propose a practical model to predict END using magnetic resonance imaging (MRI). Method: Patients with anterior circulation infarct were recruited and they underwent an MRI within 24 hours of stroke onset. END was defined as an elevation of ≥2 points on the National Institute of Health Stroke Scale (NIHSS) within 72 hours of stroke onset. We examined the relationships of END to individual END models, including: A, infarct swelling; B, small subcortical infarct; C, mismatch; and D, recurrence. Results: There were 163 patients recruited and 43 (26.4%) of them had END. The END models A, B and C significantly predicted END respectively after adjusting for confounding factors (p=0.022, p=0.007 and p<0.001 respectively). In END model D, we examined all imaging predictors of Recurrence Risk Estimator (RRE) individually and only the “multiple acute infarcts” pattern was significantly associated with END (p=0.032). When applying END models A, B, C and D, they successfully predicted END (p<0.001; odds ratio: 17.5[95% confidence interval: 5.1– 60.8]), with 93.0% sensitivity, 60.0% specificity, 45.5% positive predictive value and 96.0% negative predictive value. Conclusion: The results demonstrate that the proposed model could predict END in all stroke subtypes of anterior circulation infarction. It provides a practical model for clinical physicians to select high-risk patients for more aggressive treatment to prevent END. Author(s): Ahmed A. Haroun*, Hala A. Amin, Sameh H. Abd El-Alim. Background: Using Multi-Walled Carbon Nanotubes (MWCNTs) as a drug delivery system, can avoid the need for solvents and preventing drug precipitation in aqueous solution. Soyasapogenol B (SSB) acts as an important therapeutic agent owing to its numerous reported biological activities. Hence, this work deals with preparation and characterization of SBB loaded onto functionalized MWCNTs with tetraethyl orthosilicate (TEOS) and/or chitosan. Method: SSB was immobilized onto functionalized MWCNTs using miniemulsion technique. Moreover, niosomes were utilized to encapsulate the prepared systems. The formulations were analyzed by Fourier Transform Infrared Spectroscopy (FTIR), Transmission Electron Microscope (TEM) and particle size distribution analysis. In vitro release profiles of loaded SSB particles were carried out and kinetics of release were also studied. In vitro cytotoxicity of the prepared materials was examined and evaluated by SRB assay using different human cell lines such as normal melanocytes (HFB4), and carcinoma breast and liver (MCF7 and HepG2, respectively) in comparison with the standard doxorubicin. Results: SSB loaded materials exhibited successful encapsulation in niosomes, resulting in sustainable in drug release. Study of kinetics of release revealed presence of several complex factors affecting SSB release. Mathematical processing of the in vitro release data showed that the release of SSB from niosomal formulations obeyed more than one model. The second order and Higuchi’s models were the most fitting models in case of presence of chitosan or TEOS, respectively. While, all formulations exhibited low cytotoxic properties on all tested cell lines. Conclusion: FTIR, particle size and TEM analysis confirmed that SSB was successfully loaded onto functionalized MWCNTs. 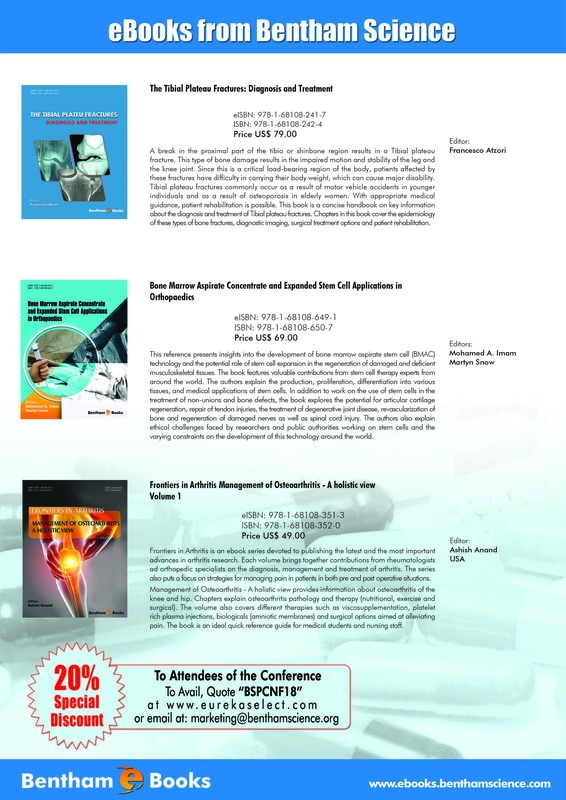 Moreover, the different niosome formulations based on functionalized MWCNTs were prepared with sustainable SSB release in. 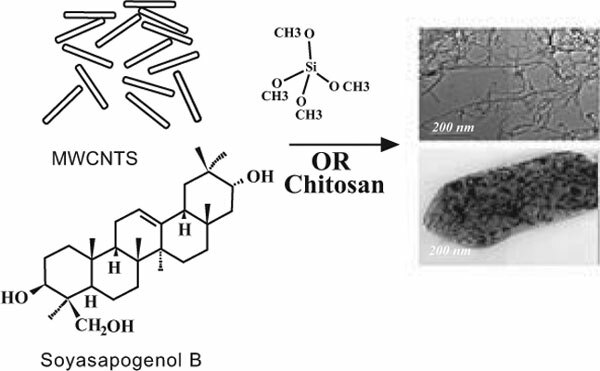 The cytotoxicity could be minimized in case of chitosan and TEOS functionalization. ARTICLE TO READ ON WORLD STROKE DAY, 2018! Author(s): Jia Jia, Jian Cheng, Jingshu Ni, Xuechu Zhen. Increasing epidemiologic evidence suggests that metformin, a well-established AMPK activator and the most favorable first-line anti-diabetic drug, reduces stroke incidence and severity. However, the mechanism for this remains unclear. Moreover, previous experimental studies have reported controversial results about the effects of metformin on stroke outcomes during the acute phase. However, recent studies have consistently suggested that AMPK-mediated microglia/macrophage polarization and angioneurogenesis may play essential roles in metformin-promoted, long-term functional recovery following stroke. The present review summarizes the neuropharmacological actions of metformin in experimental stroke with an emphasis on the recent findings that the cell-specific effects and duration of AMPK activation are critical to the effects of metformin on stroke outcomes. Around 80 million people living in the world today have experienced a stroke and over 50m survivors live with some form of permanent disability as a result. While for many, life after stroke won’t be quite the same, with the right care and support living a meaningful life is still possible. As millions of stroke survivors show us every day, it is possible to get #UpAgainAfterStroke. CNS & Neurological Disorders – Drug Targets. 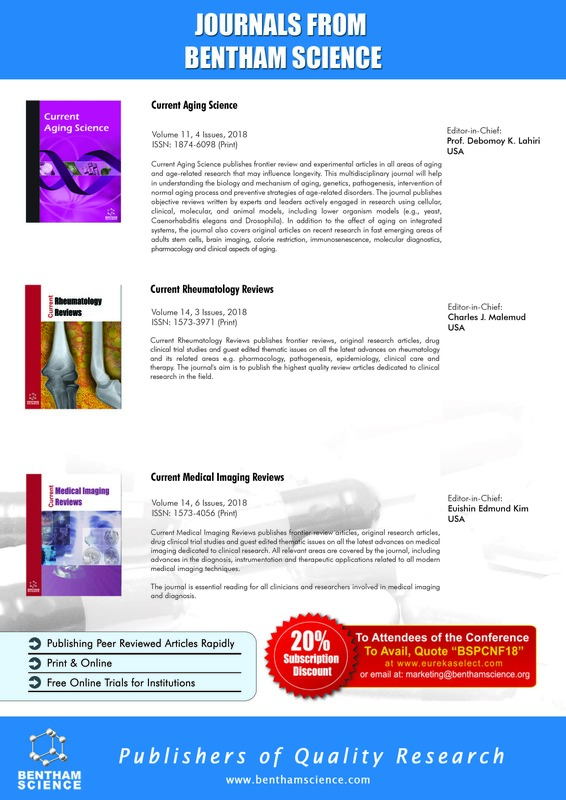 Author(s): Rina Das, Dinesh Kumar Mehta*. Continued emergence and spread of multidrug-resistant bacteria behooved the development of alternative treatment strategies, including antimicrobial drugs. A hopeful approach is to target cellto- cell communications, commonly known as quorum-sensing (QS) and microbial biofilm formation. Quorum Sensing is a method used on bacteria to determine their physiological behavior and coordinate gene expression based on the cell to cell signaling. Many physiological functions of bacteria are controlled by quorum sensings such as virulence, motility, sporulation, luminescence, and biofilm formation. Microbial biofilms are organized aggregations of cells attached to a substratum and surrounded by a self-produced extrapolymeric substance (EPS) matrix. Currently, biofilm formation and quorum sensing are considered as a prospective novel target for antimicrobial therapy to control multidrug- resistant infections. Plant-based natural products have been comprehensively studied in this context. 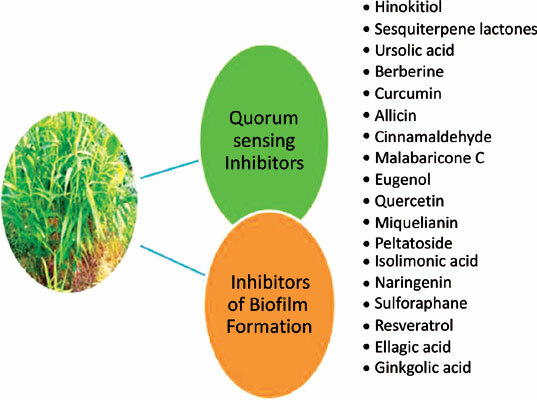 In this review, a comprehensive overview of various research papers published in the last decade on plant-derived molecules that are capable of inhibiting quorum sensing or microbial biofilm formation is reviewed, mentioning the biosynthetic classes of active compounds and their biological activity in the performed assays. Micro and Nano-systems publishes significant original work, topical reviews and guest edited issues ranging from technologies and systems to product innovation and new manufacturing processes with features at the micro and nanoscale. Applications for micro and nano-systems in areas such as health, environment, food, security and consumer goods are covered. The topics to be addressed include lab-on-a-chip, microfluidics, nano-biotechnology, micro and nano manufacturing, printed electronics and MEMS.